Nu-Heat’s Quote Team provide you with an accurate, bespoke quotation. They begin by checking that the project plans supplied are to scale, carefully measuring the areas requiring UFH. They also estimate the heat loss of the building using the insulation details provided, looking at building shape and the amount of glazing, checking for any areas with voids or high ceilings. 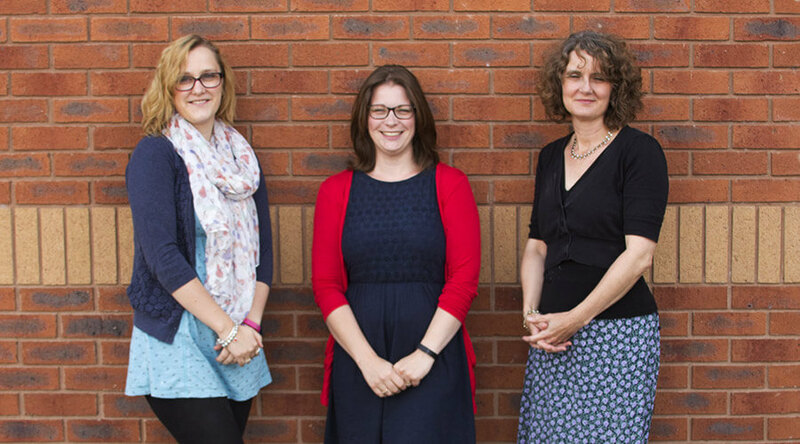 In this post, we find out a bit more about Nicola, Lucy and Raissa. Raissa: I’ve been at Nu-Heat for 9 years now. Beforehand, I was an Administrator for an insulation company. Nicola: I first came to Nu-Heat for a week’s work experience and knew then that it was a place that I’d really like to work. I joined Nu-Heat 4 years ago and started out in the Admin team. Lucy: I started 8 years ago having worked for an oil tank installation company and before that as an administrator for the RD&E Hospital in Governance Support. Lucy: The working environment and the fact that everyone works closely to overcome any obstacles to ensure we provide the best solution for our customers. Raissa: I really enjoy the diversity of projects we look at. In the course of an hour I can assemble bespoke quotes ranging from two room renovations, to a luxury self-build house requiring solar panels, through to a 2000m2 care home running from a ground source heat pump! It’s great to work for a family run business that cares deeply about their staff. Nicola: All of the people! I love that Nu-Heat is a family run, local business – I’ve made a lot of really good friends here. Nicola: I think the whole service package we offer is a great product in itself. We take responsibility for all of our bespoke designs and CAD drawings and have our own dedicated Technical team. It gives our customers confidence in our products as well as us as a company. Lucy: Not a product as such, but the online quotation is great as it’s interactive and gives our customers instant access to their estimate and all the information relevant to their project. Raissa: Nu-Heat has a fantastic range of underfloor heating solutions and renewables technologies, so it is difficult to single one out! I do feel the quotation, which is accessed online, has come a long way. It has a fabulous look to it and customers can click on links directly to comprehensive information on many of the components included in their proposed system. It’s packed with details helping customers to make informed decisions. In our next Meet the Team post, we’ll be talking to our Designers who produce bespoke CAD drawings and schematics for every project.